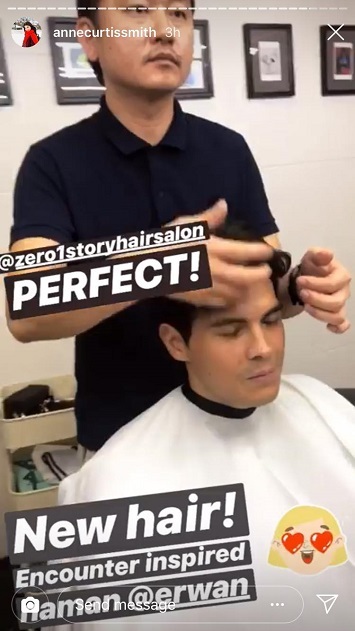 Is Erwan Heussaff actually enjoying his Korean-inspired hairstyles? 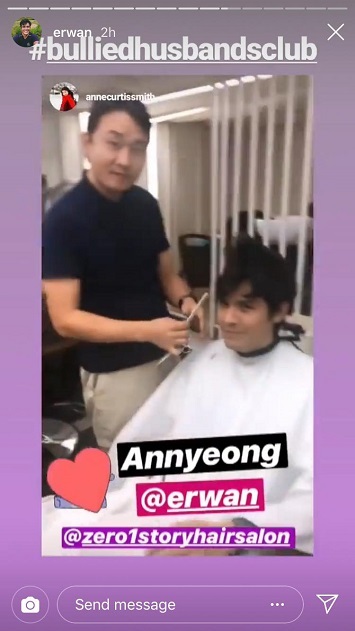 The co-founder of the Bullied Husbands Club just debuted another haircut on Instagram stories, and it looks like it's another K-star 'do! 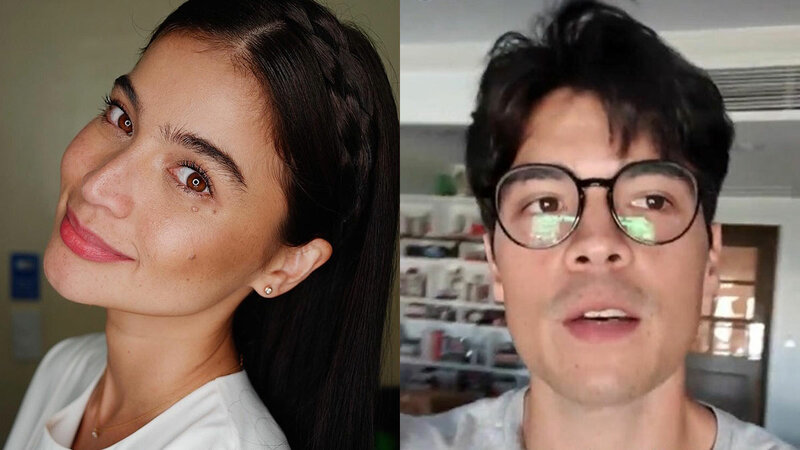 Erwan was actually sending a message to Canadian travel vlogger Kyle Jennermann, otherwise known on YouTube as Becoming Filipino, to do a potential travel feature collaboration soon. 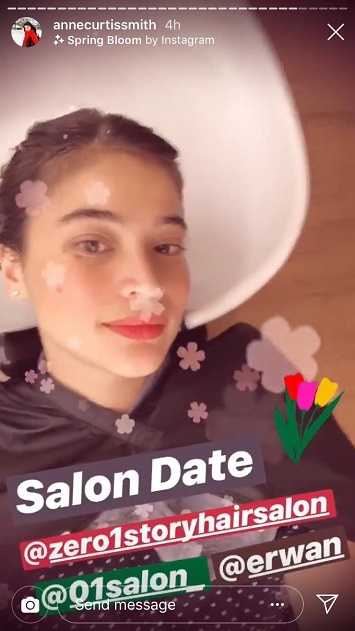 Earlier, Anne Curtis shared on Instagram stories that she and Erwan went on a salon date, and it's the same salon where he got his Park Bo Gum-inspired haircut, back in January. 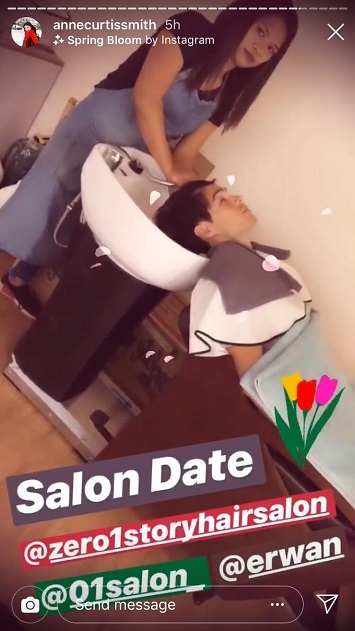 We can see here that he's smiling as the transformation takes place. He's even found a good drink to keep himself refreshed while waiting. LOL at the peg for his "next Korean hairstyle!" 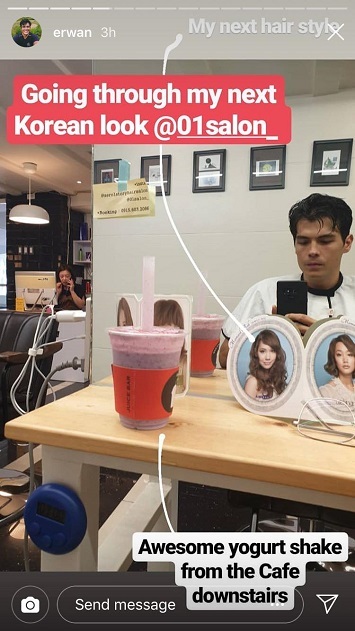 Anne reveals that it's another Park Bo Gum-inspired haircut, this time from the K-drama Encounter. Incidentally, Anne is hosting Park Bo Gum's Manila fan meet on April 27. 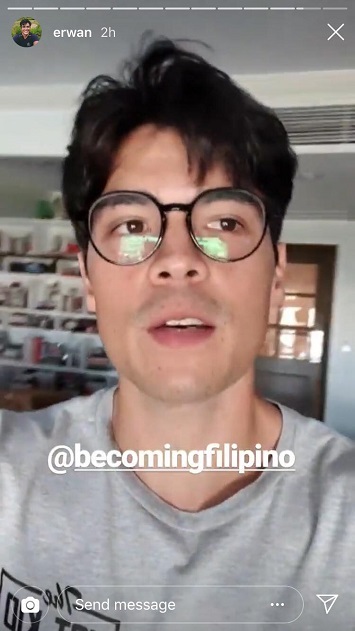 What do you think of Erwan's new haircut? Which K-star should he get inspiration from for his next haircut?